Canadian production duo Robby Riggs and Peter Wellington (Aka Saint Pete) have been producing music long before they came up with Perfecto's massive guise Mach 747 country's live alternative rock scene for several years, before forming Mach 747 as an outlet for their burgeoning curiosity with electronic music. Thus began their fascination with creating progressive breakz and melodic drum & bass, and their work with the serene vocal talents of Jenna Andersen, Katey Morley and Rosita Stone. 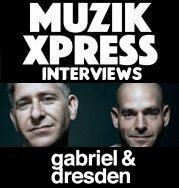 "With Mach 747 we wanted to reach out to the emotion of the people, using melodies in an uplifting way but in a unique format. It's definitely a mainstream sound with an underground base." So says Peter Wellington aka Saint Pete one of Canada's hottest progressive DJs. Peter has been a sought after re-mixer on the Canadian scene for years, and his Lifted mix of B.K.N.Y. 's 'Sensation' lent a dynamic new lease life to the Ironic Recordings classic on re-release. He has also released material on several labels including DMT, Release Records, K-Recordings, Hi-Bias and Remedy Records. Long time musician and self taught rhythm guitarist Robby Riggs, a familiar name on the Toronto party scene and promoter of X-Static events, is part owner and director of DMT Records and has also released tracks on X-Static, DMT and Remedy. "I love the outlet of writing and producing songs, it's all mixed emotions and feelings," explains Riggs. "Mach 747 is a combination of electronic music, live music and vocals. It's a chronicle of our own, years-long struggles and looking ahead to the future."